Coppell Dentistry for Kids has roots back to 1997 as the first pediatric dental office in Coppell, TX. Dr. Sonia Louca has been working with the practice since 2001 and we are pleased to provide our patients with the gentle, trusted care they’ve come to expect throughout the years. Preventive Dentistry Assessing a child's risk for developing decay is the first step to a healthy mouth. We help educate children to avoid cavities and other issues, so they can have positive feelings about their teeth and their visits to the dentist. Special Needs Patients Dr. Louca has received advanced training in dental care for special needs children, and her compassionate approach will result in a positive experience for all parties. Sedation Dentistry With four methods of sedation, we’re able to cater more precisely to your child’s needs. All of our methods are widely used and approved by the FDA and the American Academy of Pediatric Dentistry for use with children. 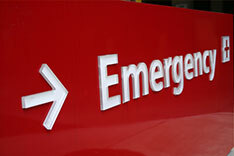 Emergency Care Dr. Louca is available 24 hours, 7 days a week for current patients, and new patients should call the office during office hours to schedule an emergency appointment for prompt treatment. Wouldn’t it be nice if your kids actually enjoyed visiting the dentist? We believe in having fun at every dental appointment. Kids love our SuperSlide Playscapes and our hand-selected DVD collection, complete with personal headphones. Parents love our state-of-the-art facilities and the quality care we provide. It’s essential that your child has a positive experience, so we’ll never push treatment or put your child in an uncomfortable situation. 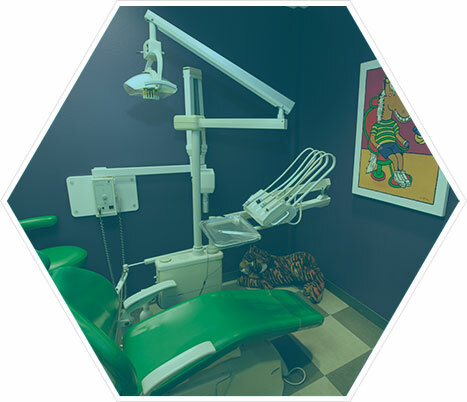 At our pediatric dental office, we build healthy foundations for smiles that last a lifetime. At Coppell Dentistry for Kids, we treat kids like kids, and we specialize in the unique dental challenges that kids face. 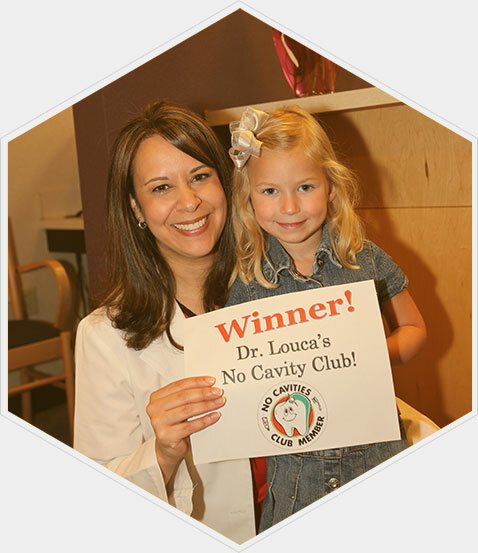 From your infant’s first visit to care for medically compromised children, pediatric dentist Dr. Sonia Louca provides exceptional dentistry in a fun, safe environment. With over 14 years of experience in both hospital and private-practice settings, Dr. Louca offers four levels of sedation to help anxious children relax, and our team is well-versed in all aspects of children’s dentistry. We’re in network with MetLife and Delta Dental Premier, and we accept most major dental insurance plans. Our financial coordinators gladly file claims for any insurance provider and are always available to answer any questions about your child's specific coverage. We also provide financing through CareCredit, allowing patients the comfort and convenience of low monthly payment plans with no interest.